In 1968, Grace Slick, lead vocalist for the Jefferson Airplane, recorded a freeform piece with the Mothers Of Invention. 'Would You Like A Snack' (Zappa, Slick) was initially intended for the "Crown Of Creation" album and can be found on the 1992 "Jefferson Airplane Loves You" album / box by the Jefferson Airplane. The track can also be found as a bonus track on the 2003 "Crown Of Creation" cd rerelease. Hi, I would like to report that I have found some Zappa related music on the recent Jefferson Airplane re-issue of the "Crown of Creation" album. Released August 19, 2003. RCA has released this classic title yet again (under the BMG Heritage label) as part of the Jefferson Airplane Original Masters series. This time, the disc contains 5 bonus cuts (one being an untitled hidden track tacked onto the end of track 15). One of the bonus tracks (credited to Frank Zappa / Grace Slick) is called "Would You Like a Snack". 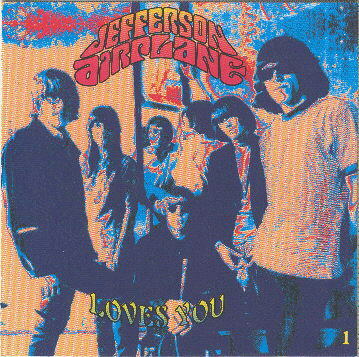 It had been released on the "Jefferson Airplane Loves You" box set in 1992 and is known to fans. But another track (not credited to Zappa but to Spencer Dryden) called "The Saga of Sydney Spacepig" is released legit here for the first time, and it contains without a doubt Zappa contributions. You can here parts of the song "The Air" fading in and out, and Zappa type Snorts and grunts are heard throughout. "The Saga of Sydney Spacepig" has been on bootleg before, but the version on this new "Crown of Creation" CD is a very different and seems to be a more realized mix. Just thought the die-hard Zappa fans should check this out.